The annual Musqueam and Nanaimo events are set! Check out Hope and Health in the News! Vancouver July 9, 2018 and Nanaimo August 20, 2018. Our H3 - Hope and Health at Home initiative is underway! Our 6th Hope and Health Nanaimo event. Watch the above video to experience it! Take a look at the inspiring day in the video above. We're excited to announce we are taking early bird registration for our upcoming 2017 Hope and Health Events now. On our 5 year anniversary we are taking this time to reflect on the Hope and Health movement. Click here to see the short film. Thank you to the incredible community of volunteers who made our inaugural Hope and Health event at Musqueam an amazing experience for the children and youth. Check out all the additional photos below too! We are SO grateful for the incredible support coming forward from local corporate sponsors who care so deeply for the health and well being of our Aboriginal children and youth. 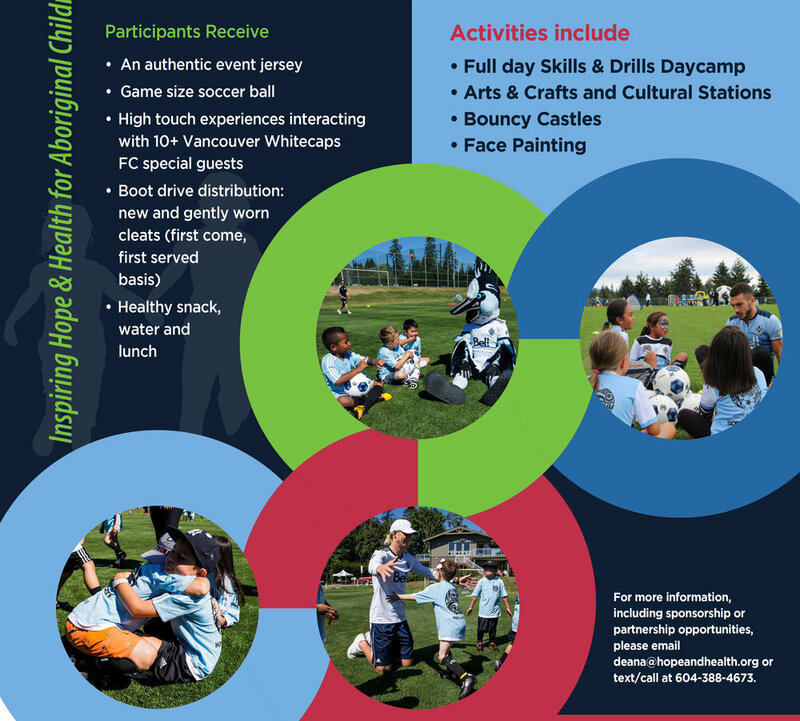 Thank you to Blue Sky Properties for your donation that will sponsor 50 children and youth to attend the Hope and Health event on July 20th at Musqueam. We salute you for your generosity and partnership in Hope and Health and for what you do every day to make a difference in our society. Registration for the July 20, 2016 event in Vancouver is open until July 19, 2016. 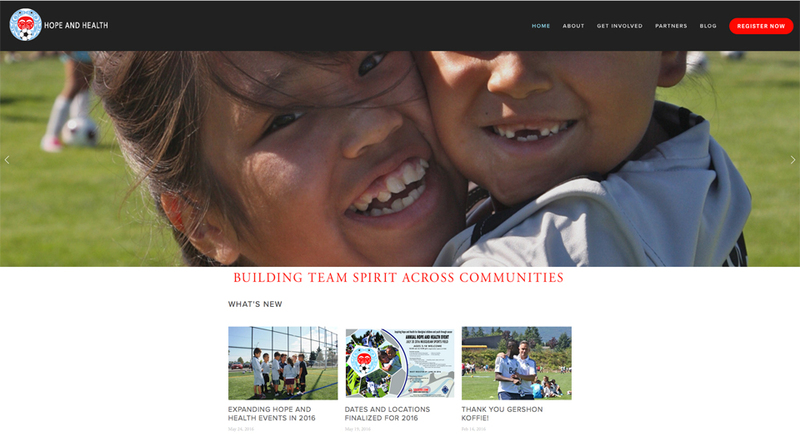 A huge congrats to our friends in Northern BC who are building team spirit across communities with the children and youth at the center with their Hope and Health kick off this week. Sending you love and prayers for an amazing experience and look forward to see some pictures/videos of your day. Thanks again for everyone that has helped to make this event happen this week. For more on The OEC Mission Hope and Health Movement, you can find them on facebook. We are SO grateful to receive a very generous sponsorship donation from the Vancouver Whitecaps FC/Players and the Garth Brooks Foundation Teammates for Kids (100% goes to the kids!) Feeling the love! 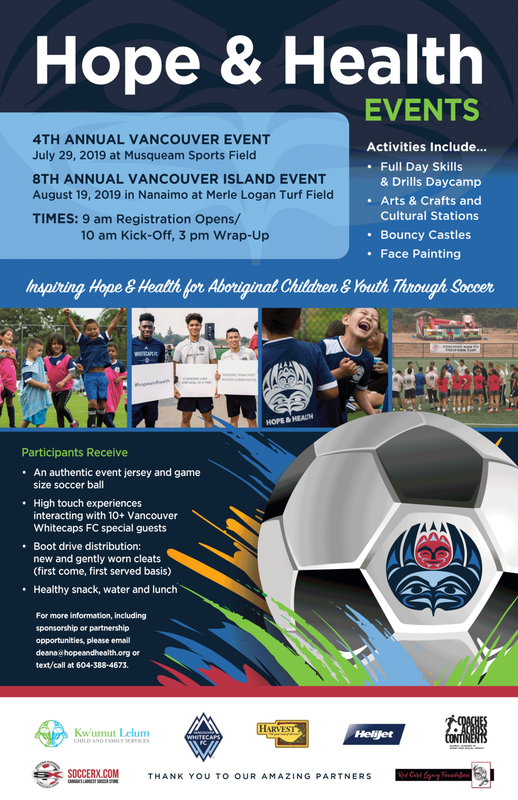 Hope and Health Head Coach Jamie Merriman made some new friends at Musqueam this past weekend as we build awareness and excitement about the expansion of Hope and Health to the mainland, hosted on Musqueam’s beautiful territory July 20th! We have some exciting surprises in the works for Hope and Health 2016! Extra special entertaining guests and lots of interesting stations in addition to our core skills and drills. Year 5 promises to be the best year yet!